The Drop-In Schedule for Winter 2017-2018 is now posted. Please check the drop-in schedule for advisor availability. Best of Luck as you wrap up the Fall 2017 semester and take your Final Exams! 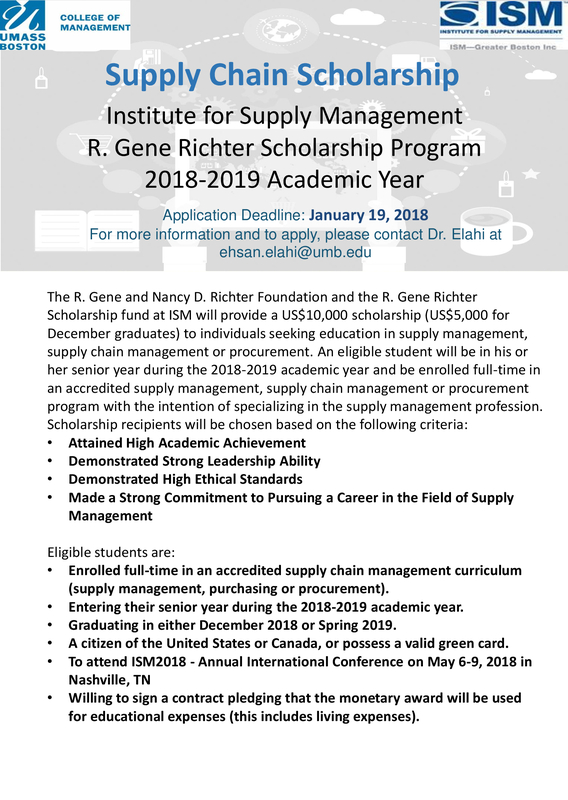 Attached to the bottom of this post is a scholarship opportunity for rising undergrad seniors in the Supply Chain field. Apply soon! Thank you, and please feel free to email mapcm@umb.edu with any questions you may have.